Sherry FitzGerald is offering No 12 Ce na Mara to the market for sale by private treaty. 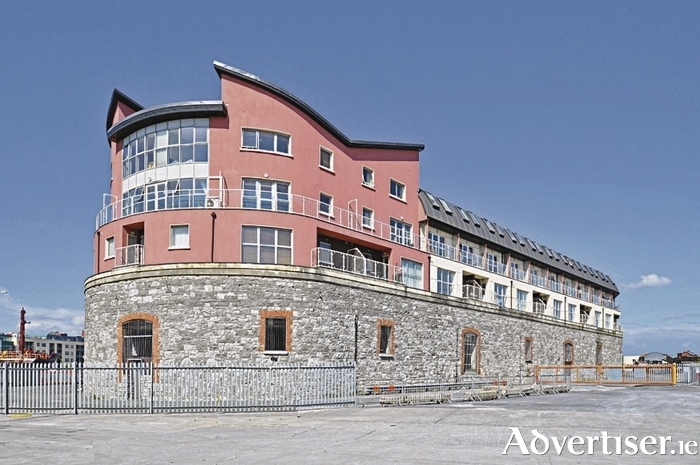 Ce na Mara was built by TBD Developments in 1999 and has proved to be a popular development, with excellent own entrance apartments overlooking Galway Harbour. No 12 is a large three bedroom apartment with bright and spacious double rooms. There is an open plan kitchen/dining/living area with balcony overlooking the inner harbour. The property is complete with master en suite and bathroom. Parking is provided in a secure car park with one space included and the option to rent further spaces if desired. With an asking price of €240,000, the apartment is located on the second floor and is accessed via stairs or elevator from the communal entrance lobby. It has its own private entrance door overlooking the communal courtyard which is very well maintained by the management company. Ce na Mara is a stone’s throw from the vibrant cobbled streets of the city with its many shops, bars, and restaurants. Spanish Arch, Claddagh, and the majestic River Corrib are all within a pleasant stroll, as is Salthill Promenade and beaches. This unit would make a great owner occupier pad in the heart of the city. It is also a very good investment opportunity with good rental income being achieved in this area. Page generated in 0.0909 seconds.